Find My Workspace lists over 95% of the business centres market in Gorleston. Simply click Request Quote to check pricing for one office, or Add to Basket for multiple offices. 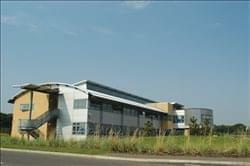 Providing high quality office space and a stimulating environment, this centre is the ideal for young and high-growth companies, and is currently home to many leaders in the offshore power sector, including Fraser Offshore, Stimwell Services and industry specialists the East of England Energy Group. Crowned by a fully equipped executive 20 seat boardroom available for hire, tenancy at this Innovation Centre includes a managed reception, 24 hour tenant access, free un-allocated parking and round the clock security monitoring. The VOIP telephone system and unlimited broadband line enable our clients to connect worldwide – a must in this global industry.